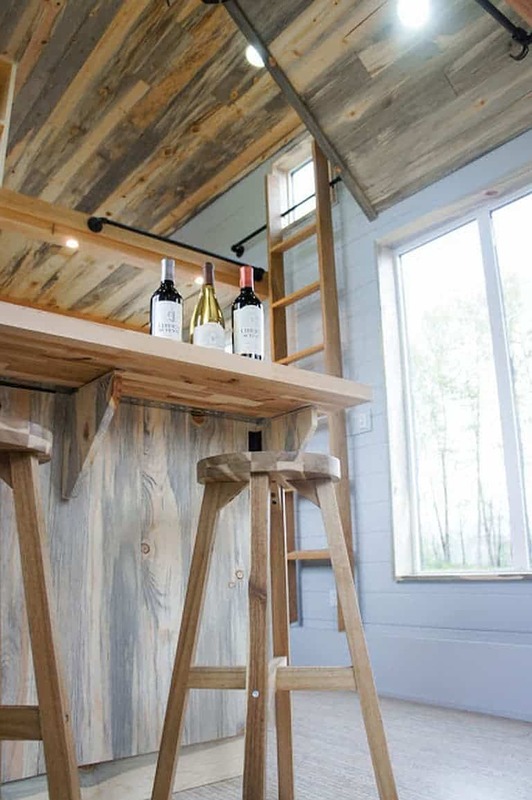 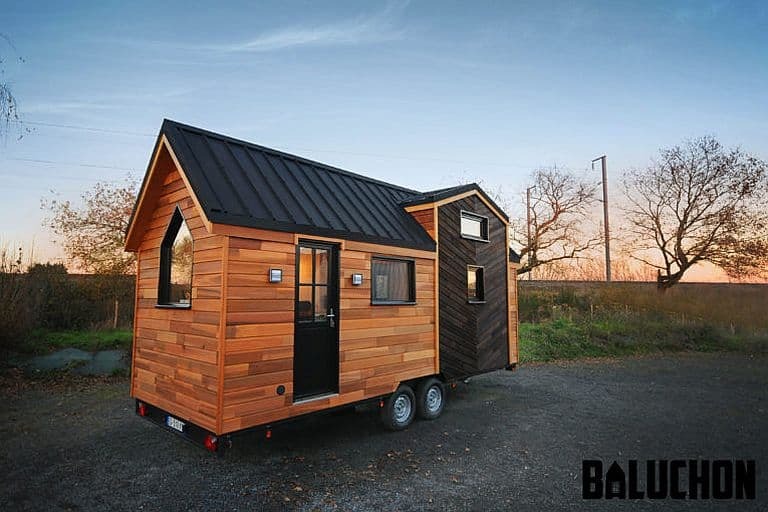 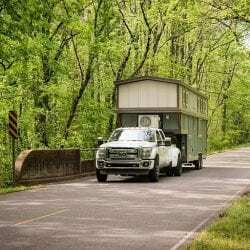 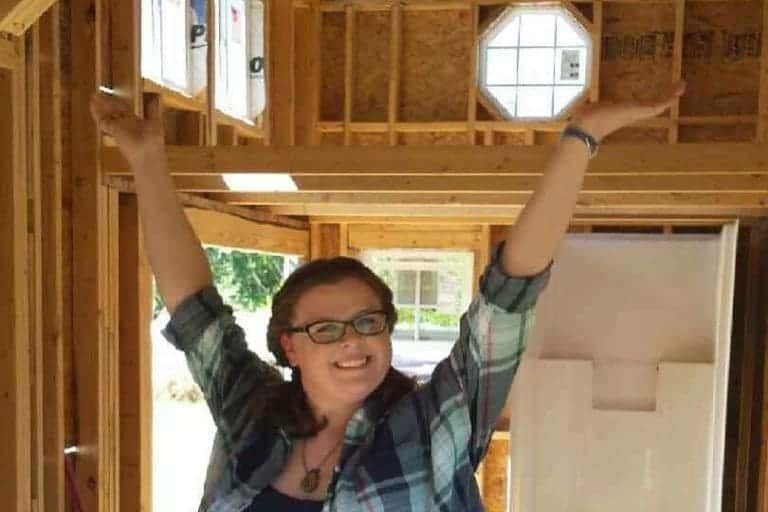 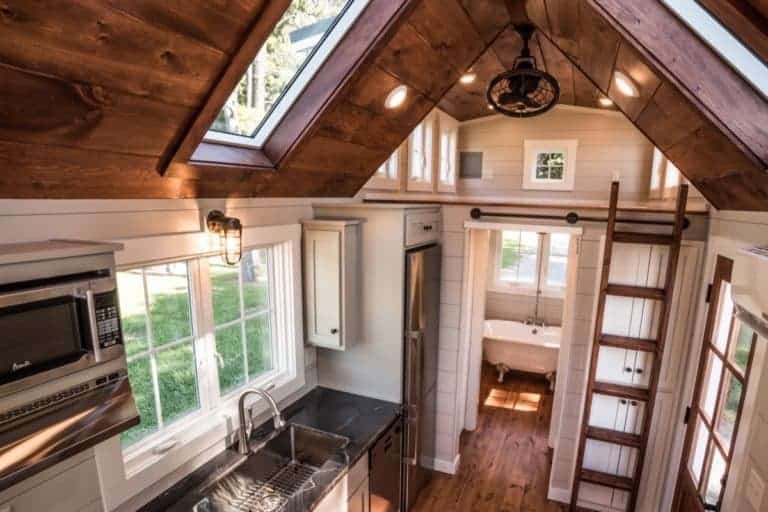 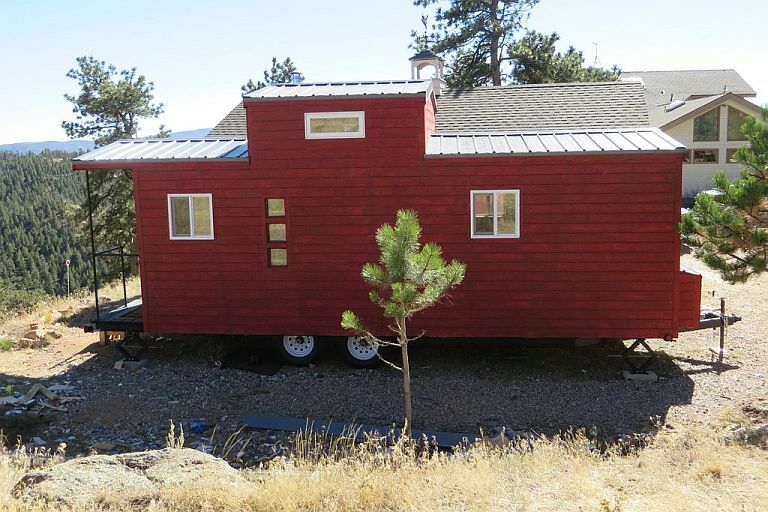 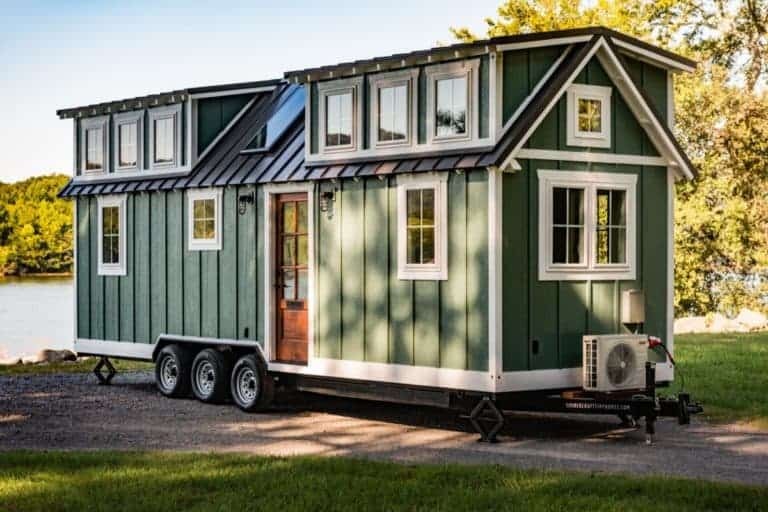 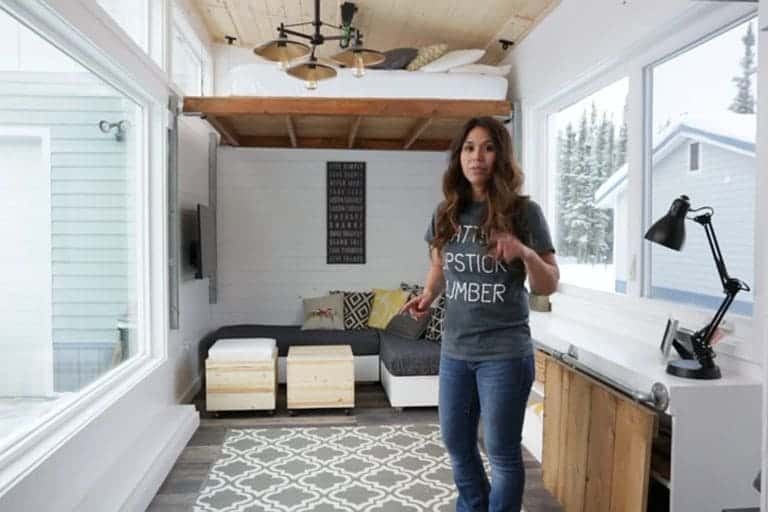 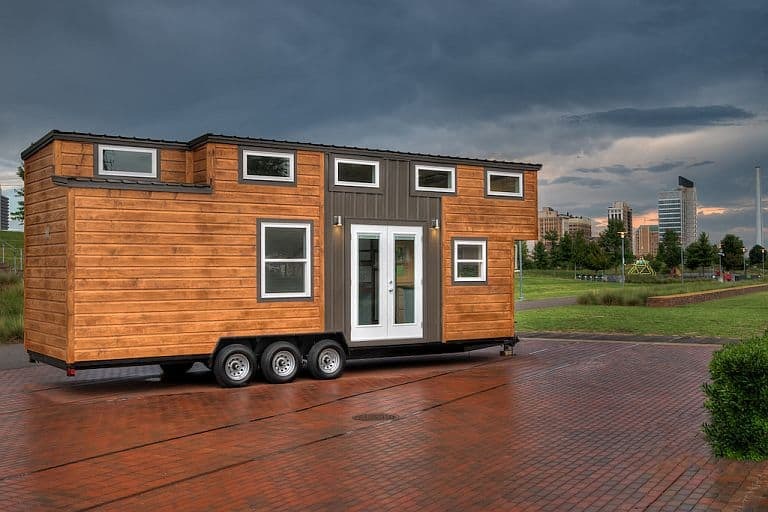 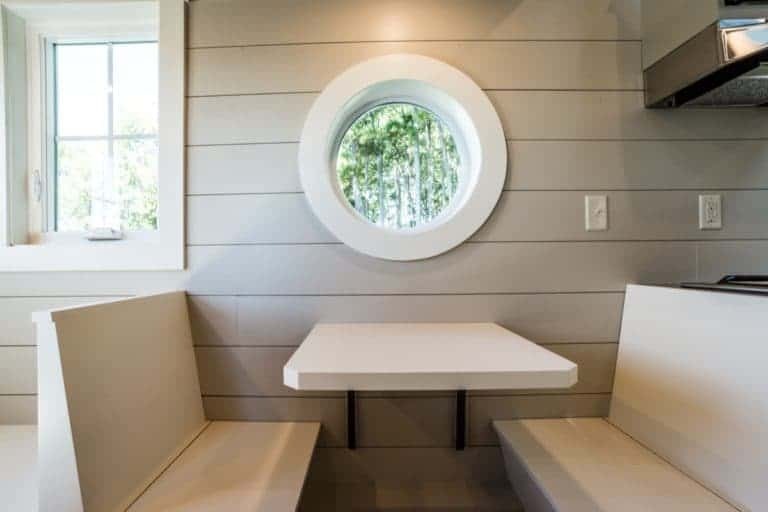 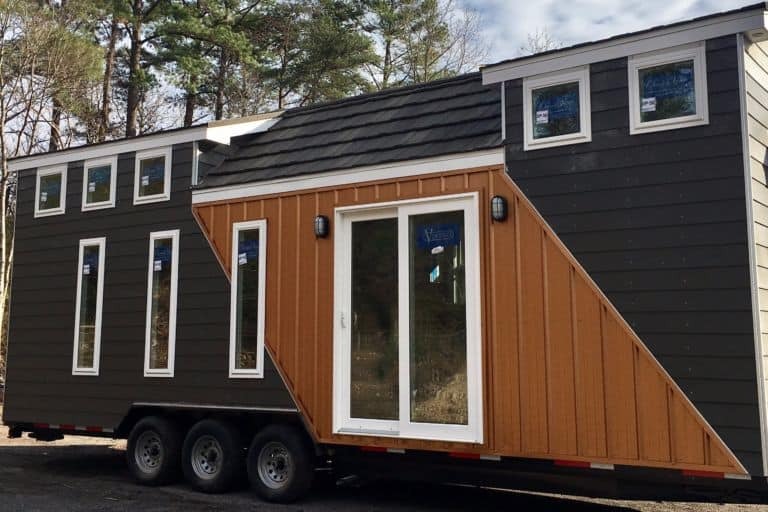 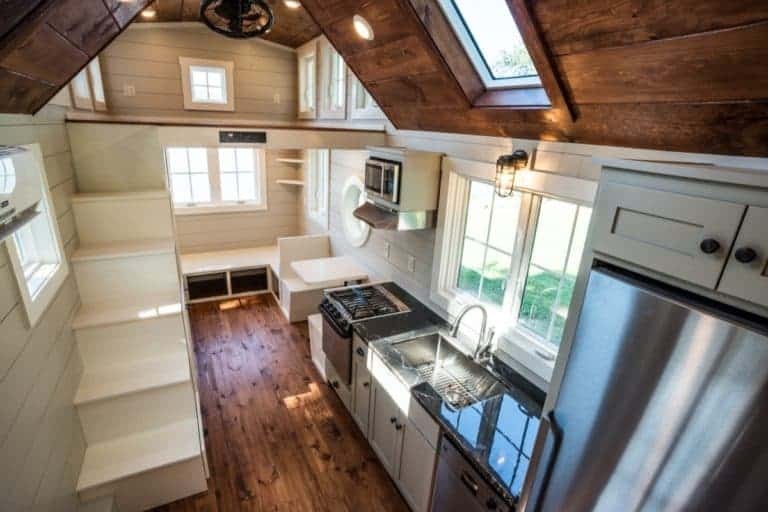 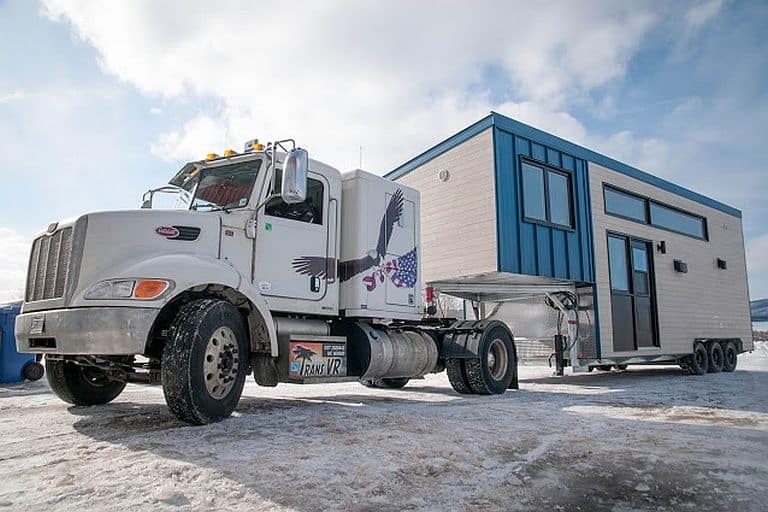 The Ridgewood is a very capable, very attractive mid-size (28-foot) tiny house on wheels from Timbercraft Tiny Homes. 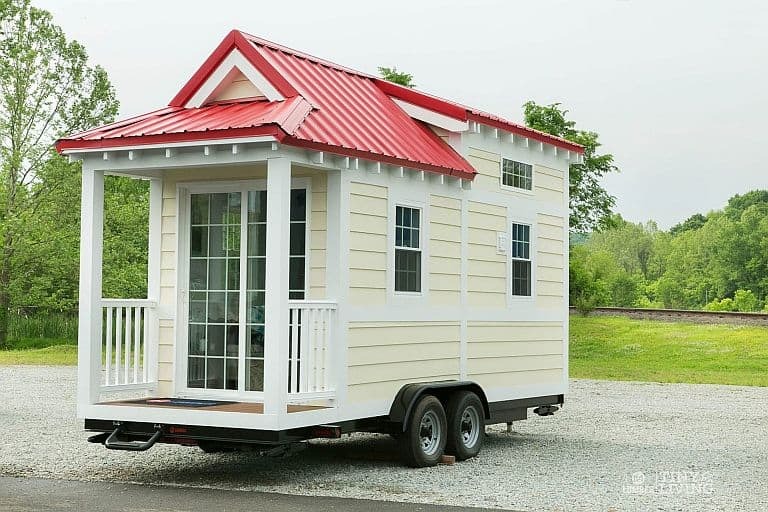 It has a large dormer loft on each end, but most of the action is on the ground floor. 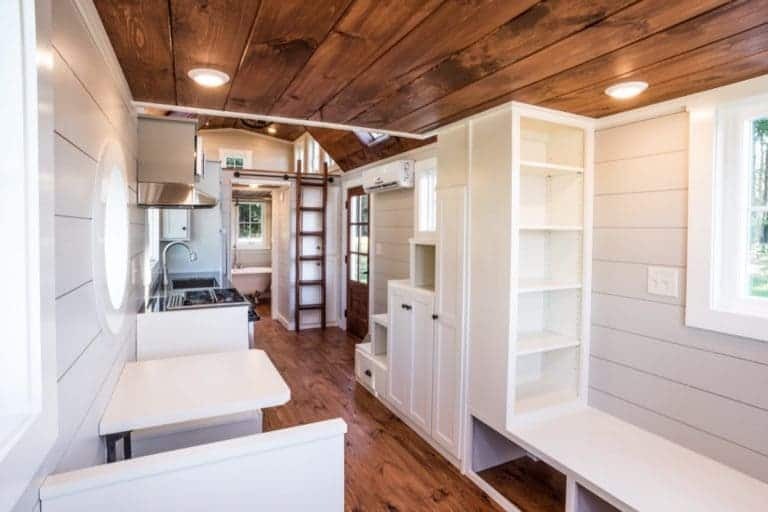 It’s nicely finished in classic style, with a pleasant sitting room in the back, plenty of built-in storage, and plenty of room to move around, especially in the central kitchen area. 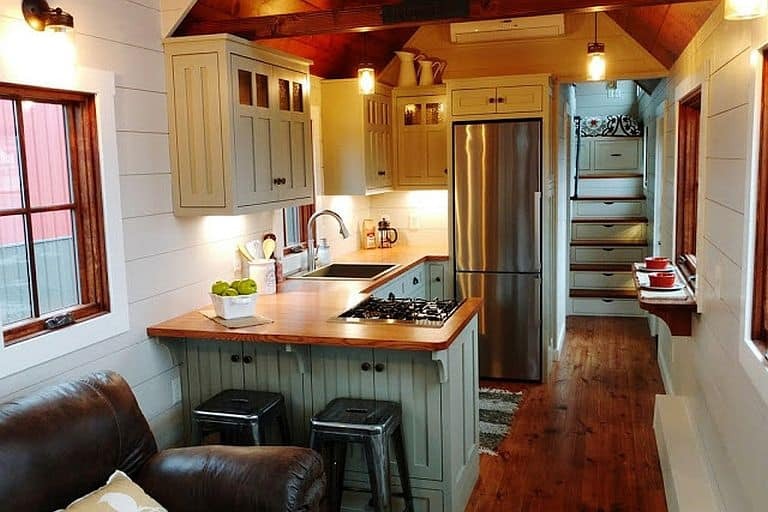 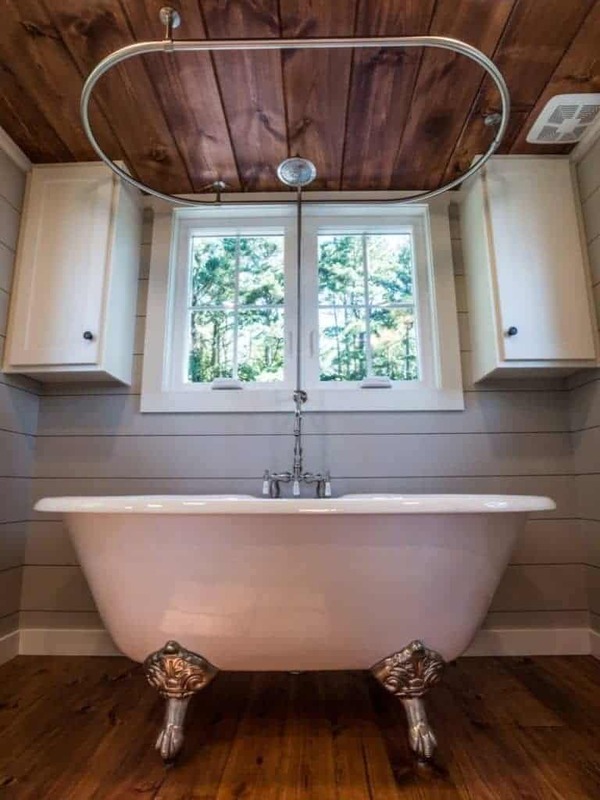 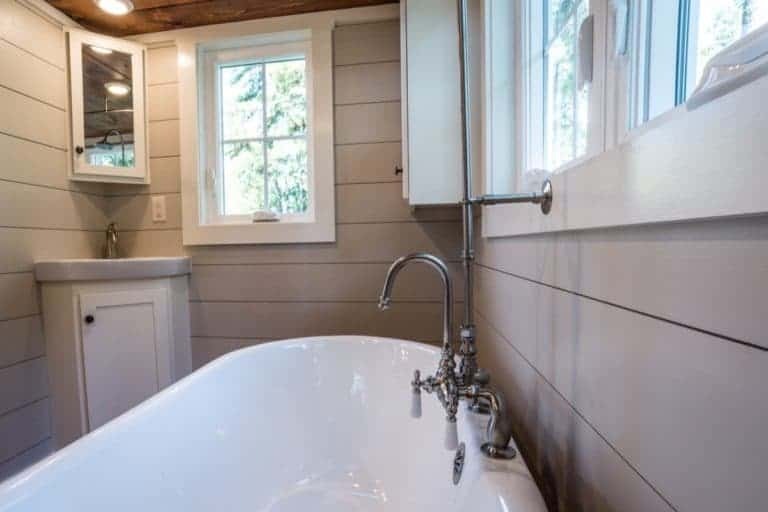 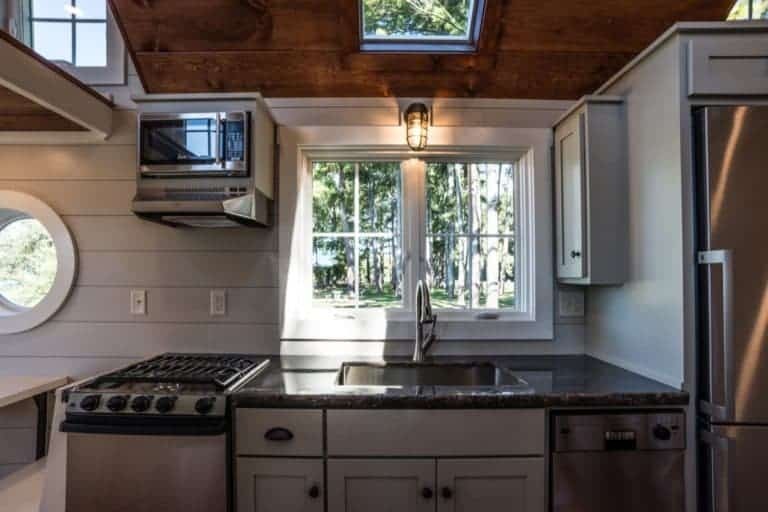 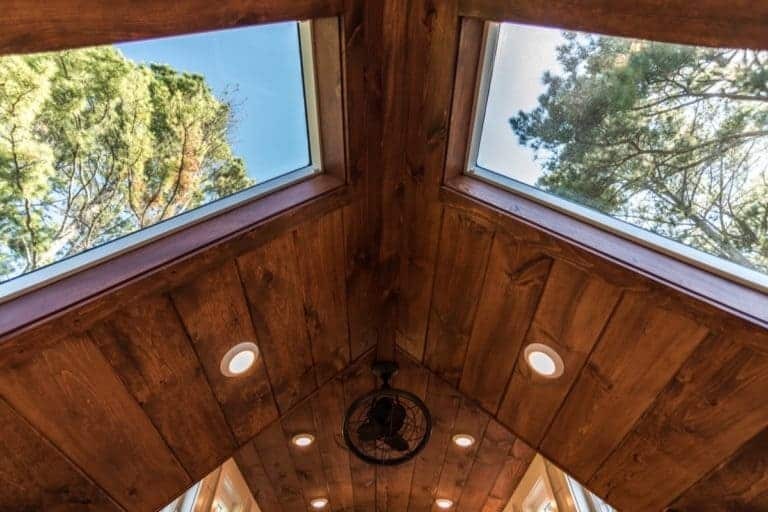 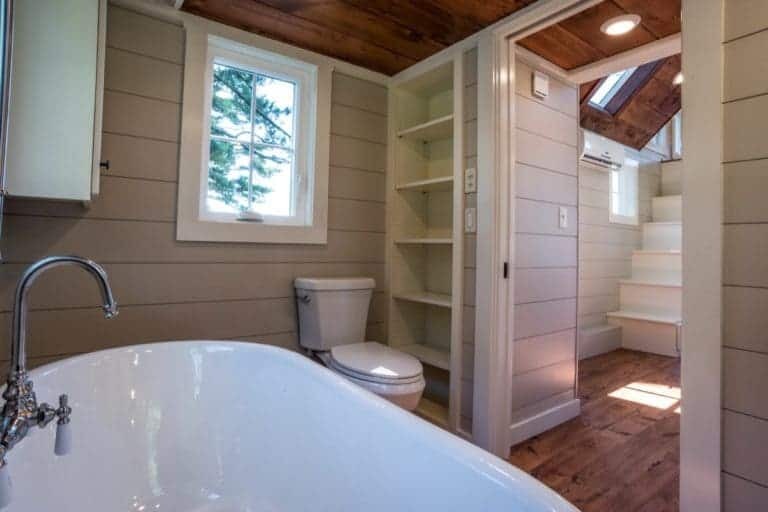 The highlights include a full set of appliances, a cozy dining booth, a large bathroom with a beautiful claw-foot tub, and big skylights on either side of the peaked roof.